Convenient self or valet parking is available in Pacific Place parking lot. Street parking is also available. Metro line stops at 6th and Olive. 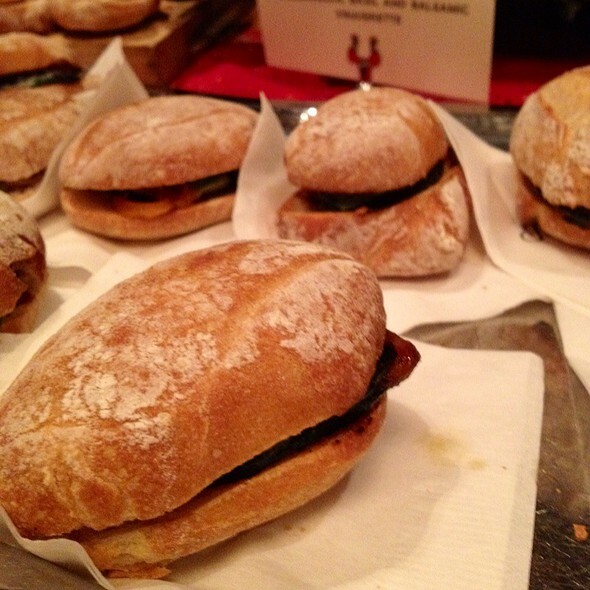 When you can’t join us, Il Fornaio food will come to you! • Boxed Lunch – sandwich, salad, Italian cookie and drink packaged individually. • Platters – pastries, sandwiches, salads or cookies. 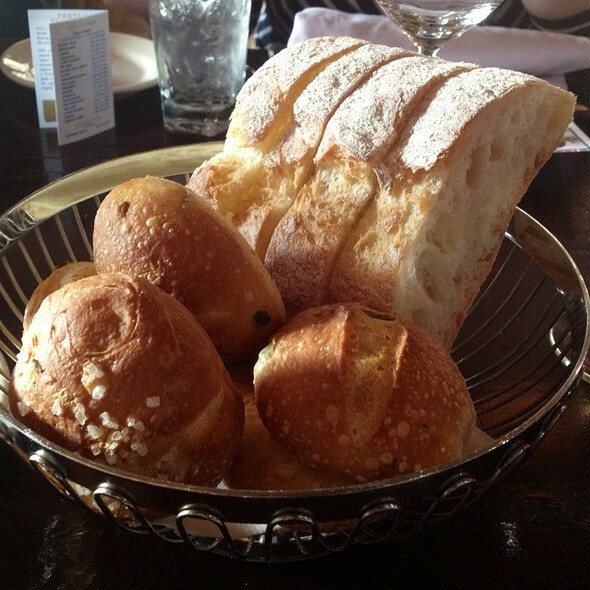 Perfect for any meeting held at Il Fornaio or your location. • Ala Carte – We will accommodate any to go order from our regular menus. 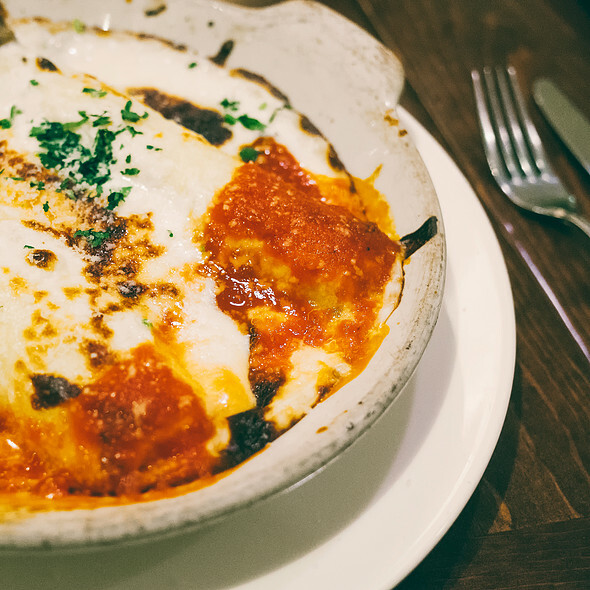 Italian" and repeat recipient of Wine Spectator's "Award of Excellence," this award-winning restaurant is located in downtown Seattle at Sixth and Pine. Love this restaurant. Celebrated Easter there and will go back again. 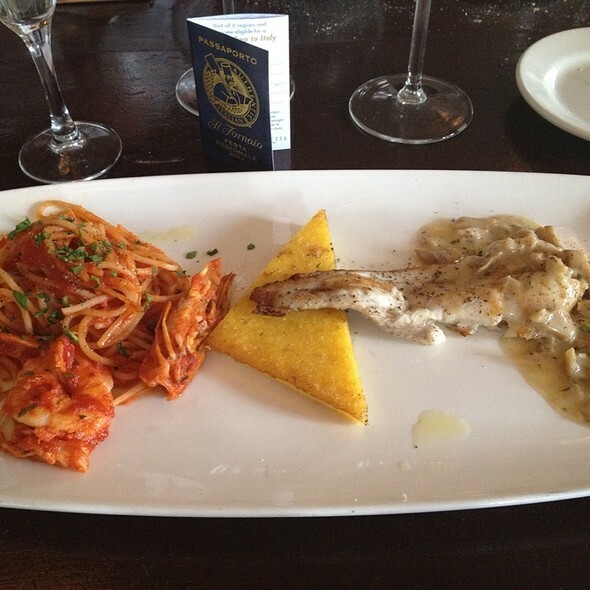 Food is always excellent and authentic italy. Reasonable selection of appetizers and entrees for every taste. Best is that the wait staff are knowledgeable and efficient. A favorite location for a casual meal or special occasion. Perfect place to meet my friend from college. Calm and elegant. Love the ambiance and the food was great too! Waiter complained to us about bartenders and prep guys; why tell the customer the restaurant is poorly managed? I don’t want to hear that. My Caesar salad was terrible: barely any dressing, croutons were huge and had an acerbic taste, had quartered hard boiled eggs which was an odd thing in a Caesar, and giant shavings of Parmesan. The whole point of using an expensive, aged and flavorful cheese like Parmesan is to maximize the flavor. It should have been half as much and finely shredded. My rye manhattan was straight rye; I had to add ice to drink it. Putting a guy behind a bar in an apron doesn’t make him a bartender. The food from appetizer to dessert was gourmet and delicious. Service impeccable! Great service and wonderful food! We enjoyed lunch! It was great. Not many other restaurant patrons, yielding a wonderful quiet ambience. Food and wine was stellar. We sat and chatted for three hours. Very delicious meal in a wonderful setting. We were in the upstairs room. Tiramisu was delicious too. My wife and I overall enjoyed our dinner. We arrived on time for our reservation and were conducted to the bar area to wait. I hate the ackward moment where we interface with the Bar Staff and tell them we will just wait for our table. Anyway, we were given a table by the window, but next to the staff entrance which was very busy and detracted from our meal. Overall, the food was very good to great. We enjoyed our Carpaccio appetizer, and my wife's chicken and my pasta dish were both very good. Our Waiter was attentive but not pushy. We left happily after a satisfying cappuccino and a delicious coffee. Overall, excellent service and food! I had heard okay things about Il Fornaio and thought we’d try it out for a friend’s birthday dinner. The service was fine but the food was subpar at best and it’s way overpriced. There is significantly better Italian food in the area. I would not recommend this spot to anyone. Great food, relaxing yet refined atmosphere. Always enjoy coming here! I really was saddened that the menu has changed and they no longer have the butternut squash ravioli. This was one of my very favorite reasons for going here. My meal was still very good as I made an adjustment. Overall disappointed. Restaurant is undergoing changes and menu has been cut back considerably. No longer have fresh pasta or bread as bakery has closed. Almost nobody in the restaurant but still had to flag our server multiple times. Food was good, not outstanding and probably not worth the price we paid. Used to be one of our favorite places, not anymore...sadly. We picked II Fornaio based on the rating however our experience was not at all commensurate with the rating. To provide context, I didn't see a waiter after our meal arrived and while we were patient, I found my way into the cooking area to refill our own waters and went to the bar to order a second glass of wine. If you are looking for a elegant dining experience, pick another option as their are so many amazing choices in Seattle. Good food, great service. I would definitely recommend a meal there. Great food but lacked by the poor service. We arrived early and the place was empty but we were not seated so we asked to sit at the bar which was allowed. The bartender was fun and we wish we could have kept him but our server soon took over when they placed us at a table. Our server had an attitude that we were an inconvenience to his time. Loved the food but wish the service matched the price tag. First time at restaurant. 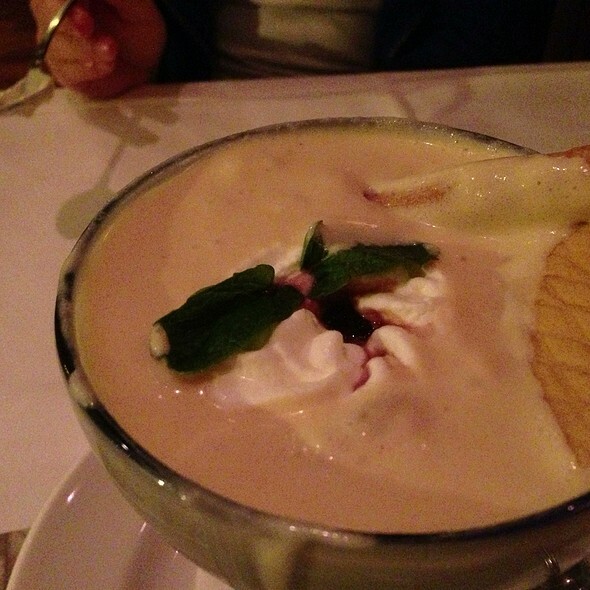 Received soups both very good, but hadn’t finished either when pasta arrived. They took back until we finished our soup. Problem was they were put under heat lamps or into oven to keep hot. Came out dry and tasteless. Felt we got ignored after a large table was put next to us. Waiter had too many to serve without any help from other staff. Horrible management of the place. Was seated and no waiter acknowledged us for over 20 minutes. I had to go get a waiter to serve us. Unbelievable. Worst experiences in 20 years. Have no problem with the Il Fornaio‘s in California. Not crowded at all on a Friday night. Looks like it will be out of business soon. We had a very nice dinner. The waiter was attentive to our needs. 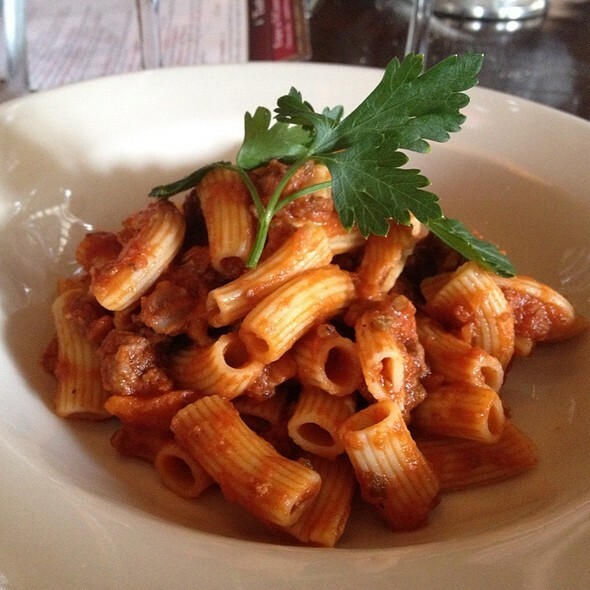 Authentic, hearty Italian food in a very elegant setting. Great on date night. Good wine list. Lots of flavor coming from a smart mix of spices. Service was enthusiastic without being pushy. Will definitely consider going again when in that part of Seattle. This was my second time. Both time the quality of food was subpar. We have a three month old daughter and were late. They were very gracious in allowing us to push back our reservation by half an hour on such a busy day. Our waiter was really fabulous too! I wish I remembered his name! Dinner with my niece before a show at the Paramount. Fun way to start a special evening and my niece’s first “fancy”’dining experience. A couple of my favorite items were missing from the menu. What I ordered instead was OK. Bad part was when we finished our main course we waited about half an hour for our server to check back by then it was too late for desert as we had show tickets. Always good on every level at Il Forniao. We have never been disappointed there!!! Always love dining at Il Fornaio. Food is melt in your mouth delicious. Perfect place to eat before or after attending a show at The Paramount. 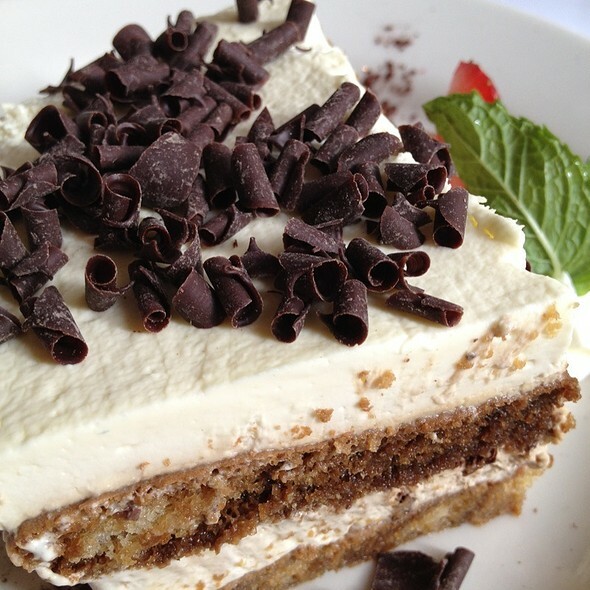 If you want a great Italian meal at a beautiful venue, then Il Fornaio is the place to go. We had a wonderful lunch comprised of Bruschetta Pomodoro and Insalate Pollo (Chicken Salad). We showed that one of the toasted bread in the bruschetta was burnt black due to over toasting and the they corrected the problem immediately. My salad had lot of chicken which was a nice surprise. The staff was attentive and we enjoyed the lunch. This is unfortunately the second time this has happened. We made a reservation both this time & the last, 1.5 hours prior to our play at the Paramount theatre. In both cases, we were seated right away, given menus, ordered our drinks and dinner requests within 10 minutes of sitting down. The last time, our food was so late that we literally had to eat as fast as possible & get the check when dinner was served, to make it over to the Paramount on time. This time, we again ordered drinks and dinner right away. Our cocktails came quickly, as did our salads. Then, we waited 50 minutes only to have the waiter come back ( a number of times) to tell us they were still waiting on our entree’s. We finally said forget it, paid our bill and left. The waiter in both cases were great. The Paramount (and 5th Ave) have been around longer than Il Fornaio, so the restaurant should know when there are plays and to staff the kitchen accordingly. Every other restaurant we have gone to prior to the theatre, has no problem getting meals out in a timely manner. Il Fornaio is great food but, we won’t be going back anytime soon because they can’t seem to get entrees to their guests on time. Such a bummer. The food was good when we got it. We were a party of seven and it took an interminable time to get served once the order was placed. I mean a l o n g, l o n g time. the three of our party had to leave with their toddler as it became too late. The evening was a bust because of the slow service. for all the good things that could have been said about the food and the menu, the speed of service (and the restaurant was not crowded) cannot be excused. a poor evening overall. We went Sunday night, the evening of the football championship games so the place was nice and quite. There were six of us and we were seated close enough for the guys to watch the last half of the game. Server was nice but scattered. I ordered one of the specials, apparently he had not read them before greeting us, told me he had no idea what I was talking about so I handed him that nights specials menu. My friend was the designated driver and just drinking water, could not get a lemon for her water the entire evening. Never cleared the crumbs between dinner and dessert, small touches that I am used to receiving while dining there just didn't happen and I have dined there many times. Difficult to get 2nd round of drinks. Kitchen was on it's game luckily so the food was good. In Seattle for business and visited my favorite downtown place for my favorite dish last night...only to find out they're taking it off the menu forever! 😭 BUCKETS of tears AND massive cheers 🤩 that I got to experience it one last time. Memories are priceless! Il Fornaio has food I love and has become one of my permanent pilgrimage spots when I'm ever in the Puget Sound. I grew up here. My new home, Atlanta, is definitely a foodie place but comfort is found in your go-to places. 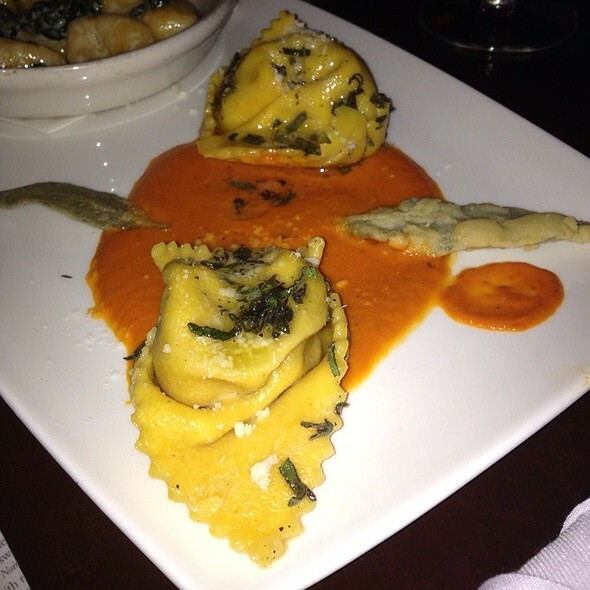 I had the butternut squash ravioli which, I was told, will be no more. But talk about HEAVEN... perfectly cooked pasta (al dente) stuffed with a ginormous amount of creamy butternut squash, accented with the perfect amount of walnuts, amazing whole perfectly crisped sage leaves and THE perfect Chianti (recommended by the server, who herself was absolutely flawless). If you define dessert as the finishing touch to a meal, then mine was that last bite topped with a big piece of crispy sage washed down with a swig of Il Fornaio's self-labeled vino. I learned you CAN trust a server's wine recommendation sometimes! I dined at 5:45-ish and the noise level was low enough to hear my server just fine. Nice ambiance with lower lighting. Booths on the wall are set up for four guests, there are tables for two and a sweeping, curved banquette with several small tables (not too close together) for individual diners. Ti amo, Il Fornaio. Ti amo. 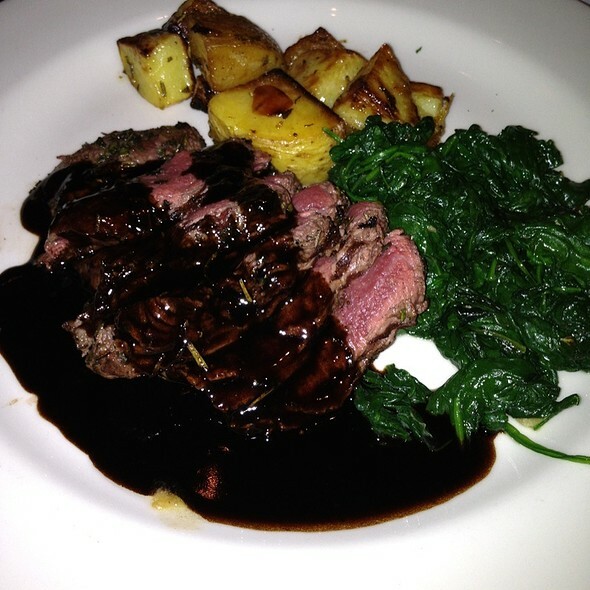 Il Fornaio was an wonderful dinner experience. We had the meatballs for starters and they were fabulous! The salads we had were fresh and scrumptious. The top of the menu chicken entrée with mashed potatoes was very good as was the spinach and sausage ravioli. We each had a dessert of the chocolate cake/sea salt gelato and the chocolate/custard layered dessert. Both were very pleasing and either dessert could have been sufficiently shared. The wine selections were also very thorough and a diner should have no problem finding a complement for your meal. I haven't been to this restaurant in about a year. Re he quality of food has really declined. It was clear that the food was merely warmed up instead of fresh. My ravioli was steaming on the outside but cold on the inside. My son's pumpkin ravioli had a grainy feel to it. Over all, a disappointing experience. Overpriced for the food they serve.